Scraps of Darkness and Scraps of Elegance: Welcome to our January Blog Hop! 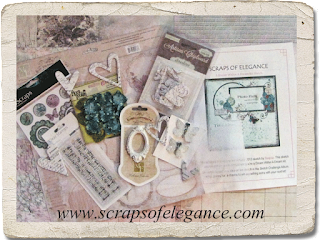 Welcome to our January Blog Hop! 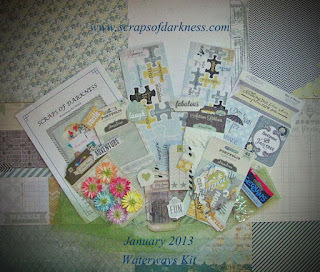 Our January Scraps of Darkness kit has just been posted on our website, and I thought I'd share a pic here at the hop! In addition to the January Kit, we also have 4 Hidden Prizes on the designers blogs! To be eligible to win you must become a follower of the Scraps of Darkness and Scraps of Elegance blogs and “like us” on Facebook. You must also visit each participating blog, become a follower and leave a comment on the blog. If you are already a follower leave a comment letting us know! Once you have visited and commented on all the blogs, return to the Scraps of Darkness blog and leave a comment letting us know how much fun you had. *If you post about this blog hop on your own blog you will be entered into the drawing twice for an extra chance to win! We are sure you will be inspired by our talented design team, and will enjoy seeing some of the gorgeous work they do. You have until Monday January 20th 1:00 AM PST to complete the hop. Girls, I stopped to walk on your blogs ))) Its very interesting and cute! Magnificent works! Thanks for game! Good luck everybody and happy hopping!! Hello, this is fun!! I am following you, I have liked your fb page, and follow you on pinterest, and I have reblogged this hop to my blog. Thanks for the chance to win!! Be back when I am done hopping! It's starting time and I know I have to follow new DT member blogs. Thanks, you talented ladies! I've been a follower for awhile now, I am so glad I decided to do the hop,there are so many talented people...and I really loved the technique video that was really awesome...I'm not sure I am at that level or adventurous just yet but it was awesome to watch! thank you for the chance to win some really lovely prizes :o) have a wonderful day! Hello from Ukraine! Thank you for th intersting game! Your blogs are very amazing. I want to take part to the game. The candy is very beautiful! Okay, i finished hopping and have followed all the blogs and commented on all of them as well. I enojoyed the ones that had projects on them, inspiring, my favorite on this hop was Nadia from Just My Scrapping World. I think she did a beautiful job on the projects she did from Dream with in a dream kit. She showed a lot of what can be created with this kit, it is a beautiful kit. Thanks for sharing and for the hop. Have a great day! I am going happy hopping!! Hello from Russia! Thank you for th intersting game! Interesting hop. I put it on my blog as well. I echo what Kristal said, I also could not find Sara's post. (Had issues with a second site, my antivirus said malware had attempted to install on my laptop and there were undesireable popups). However, I did enjoy the hop and the projects that were posted were amazing as usual! Starting the hop now, looking forward to it. I always end up pinning lots of layouts from your hop, your team is always amazing. I like both FB pages and follow both blogs. Sara's post was not up yet I guess, her last blog post was on Jan 17. I loved Elena's wedding card and Nadia's everything, but the cards and the tag were just fantastic! I just love these hops!!! Can't wait to see what everyone is up to....off and hopping! Boy that was a lot of thumping, jumping and hopping around. I feel like I've been around the world....wait a minute, I think I was, Thank you to my wonderful friends. It was great to see all te amazibg work and all the new DT blogs. i'm tired now and going to take a nap!!! Thanks again for all your hard work! I can't wait to get started on your amazing blog hop! OK!!! I am done!!!!! What a wonderful time I had seeing old friends and meeting new ones, too. You all are so talented and such great people! Thank you from the bottom of my heart!!!!!!! Fabulous hop! I really enjoyed it! Off to the blog hop!!!! I love these as it gets me to look at everyone's fabulous work! I visited all the blogs and became a follower for all the new blogs for me. It was a wonderful hop with new techniques and beautiful artwork all around! May need to start purchasing the SOE kits too -- oh no, "addiction creep" hits again! Starting the hop now, looking forward to it, and thanks for another chance to win this awesome kit. I enjoyed meeting some fresh talent through your blog hop. Thank you for the inspiration and opportunity! Phew. blog hopping all done, thanks to everyone for showing the most amazing work! feeling very inspired and my inbox is now going to be overflowing with new blog posts. Thanks again for the chance to win, good luck everyone. I have been hopping around on all the blogs now, and is great to see what your designers make. Some in the romantic style of Romy and Jennifer, and some others with colorful work. Thank you for sharing all this beautiful work with us! I am looking forward to receiving the messages of all your new work!! Thanks so much for the chance to win! I'm off to hop! Fabulous hop! So many gorgeous creations! Thanks again for the chance to win! Completed the blog hop! Thank you for all of the inspiration and the chance to win@!!! Fantastic blog hop! You are all such an inspiration! However I didn't see a post anywhere on Sara Onneby's blog. Thanks for the opportunity to win such a beautiful kit! Welcome to the January Blog Hop!